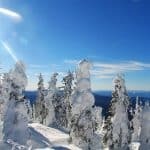 Now that winter is well under way, it is a great time to hit the slopes for some skiing or snowboarding in one of the most popular ski states in the United States – Colorado. Most of the areas in Colorado are nestled in the Rocky Mountains off of I-70, usually just a day or weekend trip away from the Mile High City capitol city of Denver. With over 20 ski areas, most averaging around 300 inches of snow per year, often your most difficult choice is figuring out where to go. The following list should help you narrow it down a bit. 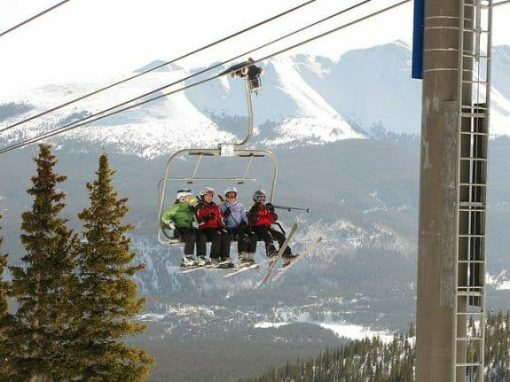 Breckenridge is located just 85 miles west of Denver, making it really easy to go visit for a day trip, or stay at the ski in/ski out hotel at the base of Peak 9, the Village at Breckenridge Resort. 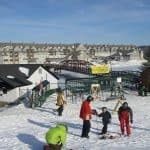 “Breck” as it is nicknamed, is also family friendly with attractions for kids such as the Gold Runner Coaster and the Kids’ Castle at the base of Peak 8. This is also a great resort because it’s barely outside of downtown with lots of restaurants and shopping. The world famous ski town of Aspen is 200 miles west of Denver, and has four mountains for skiing and snowboarding. Aspen Mountain doesn’t have any green trails, so it caters to the intermediate and expert crowd. If you want to feel like you are skiing in a forest, not at a resort, you should visit Crested Butte Mountain Resort. Located in Gunnison National Forest, this resort isn’t usually crowded and has limited beginner terrain. You can drive the 200+ miles southwest from Denver, or fly into the Gunnison/Crested Butte airport. A true local mountain, Arapahoe Basin is just an hour drive outside of Denver with the last section of the drive through gorgeous winding mountains. Not a full-service resort, A-Basin is well-known for it’s tailgating parties since the parking lot is practically at the bottom of the lifts. 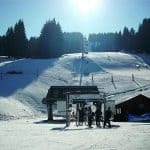 The smaller mountain also runs deals on lift tickets for children and beginners who might not be going all the way to the top of the mountain. Very similar to A-basin in that it is a smaller mountain that is frequented by locals. Both Arapahoe Basin and Loveland are generally open longer than other resorts, meaning you can ski or ride until May or June. As well known (or better known) than Aspen, Vail is America’s largest ski resort and brings in winter sport lovers from all over the world. 100 miles from Denver, the city of Vail has 5-star restaurants and plenty of shopping and nightlife. If you want to take a break from skiing, check out the Adventure Ridge for tubing, snow biking, kids’ snowmobile, the bungee trampoline, or snowshoeing. Eldora is 21 miles west of Boulder or 45 miles west of Denver. It is very easy to access via the Ski and Ride RTD bus if you don’t want to make the drive yourself. Little Hawk Mountain is more beginner friendly, while Challenge Mountain has more intermediate to advanced trails. The most difficult trail is Corona Bowl – a double black diamond. If you don’t feel like bringing your own equipment, many of the bigger resorts offer rentals. If you are staying in Denver or will be traveling through the Denver/Boulder area, two of the most popular places to rent equipment are Christy Sports or Colorado Ski and Golf. 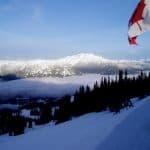 At most of the ski areas, the base of the mountain is around 9-10,000 feet of elevation with summits around 12,000 feet. If you aren’t used to being at elevation, be sure to take frequent breaks and drink plenty of water. You also might want to familiarize yourself with the symptoms of altitude sickness – headache, nausea, and feeling weak or dizzy. Altitude sickness can occur to anyone, anytime, generally in elevations above 8,000 feet. If you are driving to the ski areas, Sunday night traffic can get very congested, especially through the tunnels on I-70. If you are planning on visiting a ski area for several days, you may want to consider purchasing a season pass. Many season passes pay for themselves in 4-5 visits, so if you are spending a week or plan on multiple trips, it is something to think about.